Have you decided it is time to invest in a new door? Many people are as they look to make their home more energy efficient or take advantage of beautiful new designs available. However, when it comes to actually installing the door into your house, there are some unforeseen difficulties many homeowners encounter. The decision on whether to install your own door or let a professional handle it, can be a costly one if chosen incorrectly. 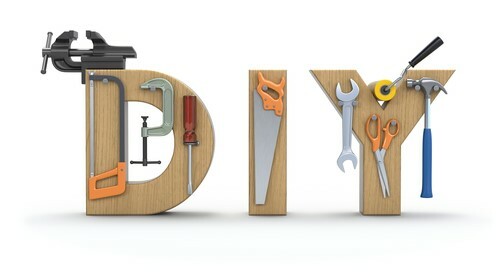 Let’s look at the pros and cons of DIY vs. hiring a professional. There is more to front door installation than simply fitting a door into a frame. The installer is responsible for the door fitting perfectly, hanging correctly, and getting into place without damage. This can be a bit difficult with new doors weighing in heavier than ever before and coming in various designs from French doors to beveled glass doors. Sure installing a simple, lightweight door that leads to the bathroom or bedroom can be done on your own, but if it is going to be a large custom front door, it can be more difficult. The door is likely a larger investment that you desire to keep in tip top shape. While you may be able to install it yourself, do you really want to? Some homeowners who have decided to install a new door in their home, choose to go down the DIY route, hoping it will save them money in the long run. Unfortunately, many times those customers come to us for help with doors that were poorly installed and need repair. You may be able to save money because you don’t pay a one-time installation cost, but think of the succeeding repairs you have to pay for if you end up installing the door incorrectly or damaging the door. Not only that, you could injure yourself in trying to hold the weight of the door. When installing a door, if minor mistakes are made, these common door problems often occur. To prevent these problems, you can contact a professional to handle it for you. By hiring a professional door installer you will get a seasoned expert who installs doors for a living. If more than one person is needed for the installation, they will know and be sure to come prepared. They will have all the tools needed, be very aware of the things that could go wrong, and take steps to ensure a flawless result. The installer will remove the old door, prep the opening, level the sill, and replace the old door with a new one, all the while making sure it is fastened securely in place to last. You also won’t have a huge mess as the door installers will clean up after themselves and will leave your home the way it was before the installation. Furthermore, when you hire a professional company to do the door installation the work is usually accompanied by a service guarantee so you are assured of high-quality results. When investing in a front door, it is wise to include the installation in the cost to insure the best possible result. Your home is one of the biggest investments you will make in your lifetime and the front door is the key focal point. By investing in a new front door and professional installation, you are assured of getting a beautiful result which will serve you, your family, and your house for many years to come. Doors of Elegance is a full-service, one-stop shop where you can choose from a wide array of decorative doors that will be a great addition to any home. Contact us today to learn more or request a free estimate!